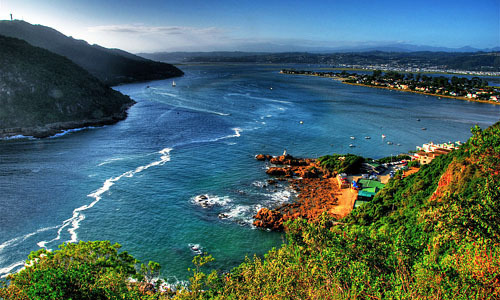 Located just a five minute drive from Knysna’s bustling town, vibrant waterfront, architect-inspired Thesen Harbour Town and peaceful Leisure Isle. 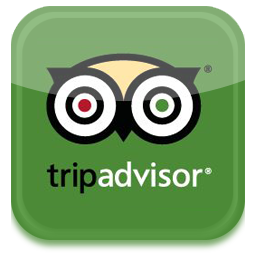 An eclectic mix of shops, restaurants, galleries and activities awaits the curious traveller. 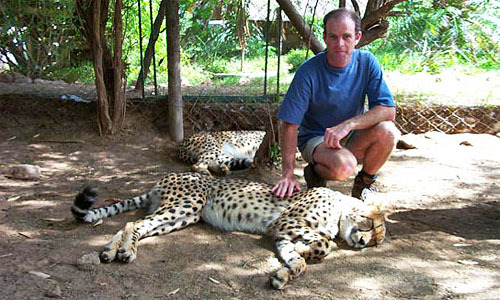 Footprints will cater for all your holiday requirements in this Fun Filled Forest Town. 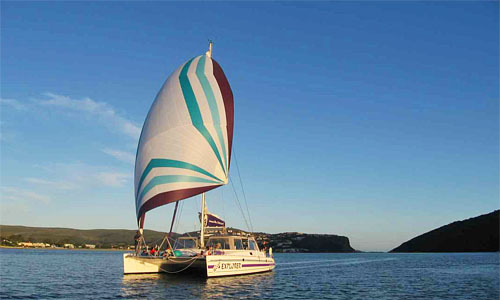 Visitors can choose the pace of their holiday – either embarking on a whirlwind rollercoaster ride of adventure and activity or make it a more relaxed and laid back vacation whilst soaking up the spectacular and diverse surroundings which are “Naturally Knysna”. 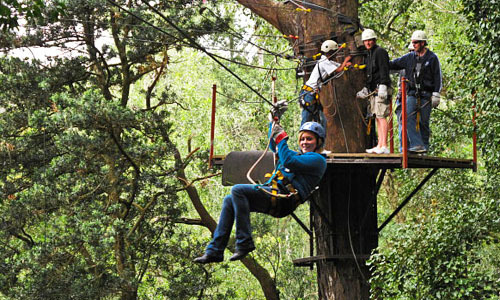 Knysna nestles on the shores of the country's most romantic lagoon, between indigenous forests, the Outeniqua mountains and a rugged coastline – all of which have many a tale to tell. 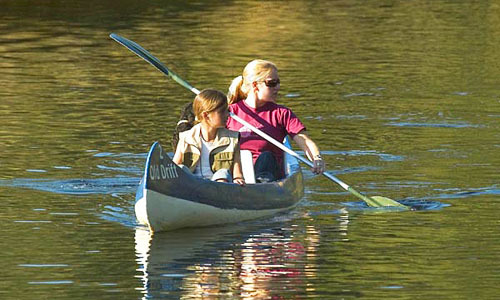 Beaches, lakes, mountains, cool green forests and rivers offer visitors an unforgettable holiday. 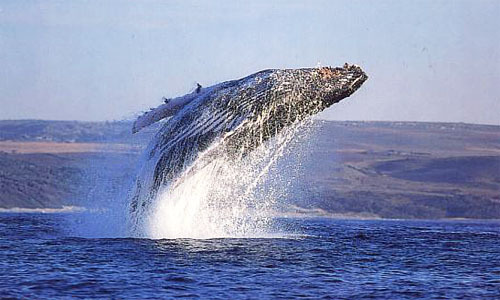 This area is home to the elusive Knysna elephants, the Knysna seahorse, Knysna dwarf chameleon, the Brenton blue butterfly, the pansy shell, the brilliantly coloured Knysna Loerie, a plethora of waterfowl and forest birds, cultivated and wild coastal oysters, dolphins, whales and so much more. 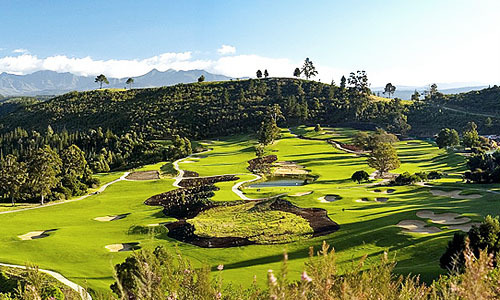 Knysna boasts 3 world class Golf courses and a host of Annual events including the world renowned Oyster Festival. You will meet artists and craftsmen, traders and restaurateurs who love nothing more than showing their visitors a good time. 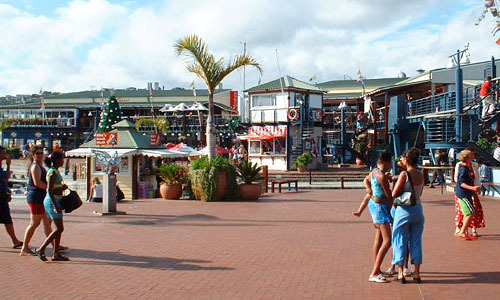 Follow in the footprints of the giants of the Knsyna Forest or simply pound the pavements as you explore downtown Knysna, upmarket Thesen Harbour Town and the Knysna waterfront. Stroll on the gentle sandy beaches of Leisure Isle, and the vast sands of Buffels Bay and Brenton-on-Sea leaving “Footprints in the Sands of Time”. 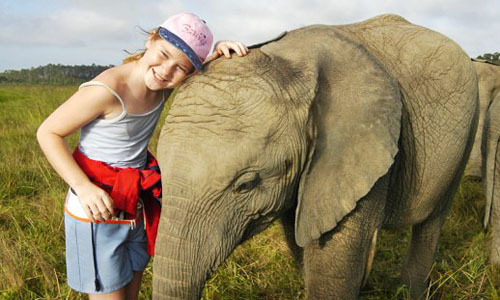 for visiting so many world renowned and wonderful places along the Garden Route. "Each moment, is a place you have never been."